For High Amperage applications, CDR Technical Services Ltd now offer an extensive range of veratile Robertshaw electric thermostats for heating and commercial catering applications. This range of products include the EA electric thermostats which are unique in design as ther are able to operate on 30amp supply. These thermostats are fully approved to: CE, UL and CSA certification. EA5 Series Electric Thermostat: The EA5 series elctric thermostat operates using a snap action ON/OFF. The device opens contacts on rise of temperature and is designed to control a specified temperature range. the device is commonly used in applications where there is a need to switch up to 30Amps at 240volt. Applications include, Heavy Duty oven ranges, Hot Cupboards and other cooking appliances. 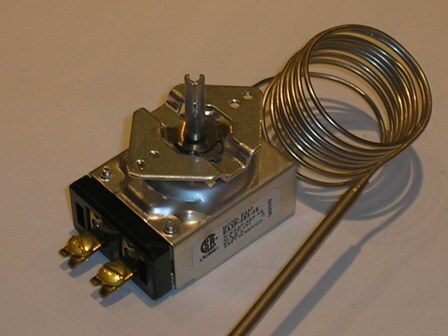 RX Series Electric Thermostat: This range of Thermostats are designed with a similar constructionas the EA%series, but includes a Reed switch for Millivolt applications. Applications include, Medium duty fryers, operating on a Millivolt circuit. 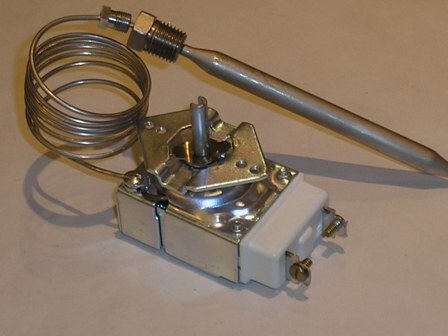 Often used to switch Thermopile current in conjunction with a Unitrol 7000series Gas Valve.